Renault is organizing the Festival Renault, an exceptional event for Renault enthusiasts, on July 20-21, 2013 at the Montlhéry race track located in the south of Paris. Brand vehicles from 1898 to the present day will be on show for the joy and shared delight of Renault fans! 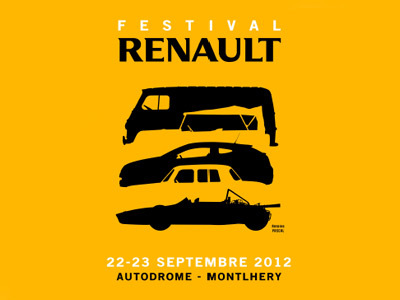 The Festival Renault will be a fantastic opportunity for all Renault fans, whatever their obsession, be it modern cars, old cars, vans, sports cars or tractors, to get together at a legendary venue and share in the world of the brand, its history, latest news, activities and products. Sign up will open in November 2012.